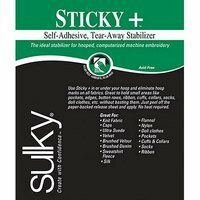 Sulky Sticky Plus is a self-adhesive, tear-away stabilizer. 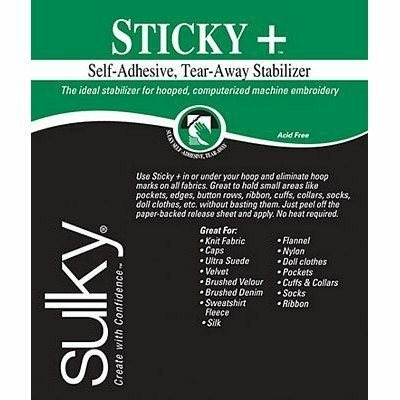 No heat is required with this stabilizer just peel off the paper-backed release sheet and apply. 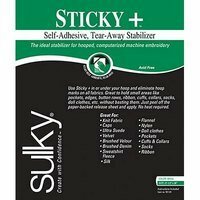 It eliminates unsightly, hard to remove hoop marks and doesn't gum up the needle when stitching.